This colorful playroom is anchored by a large, kid-proof microfiber sectional. 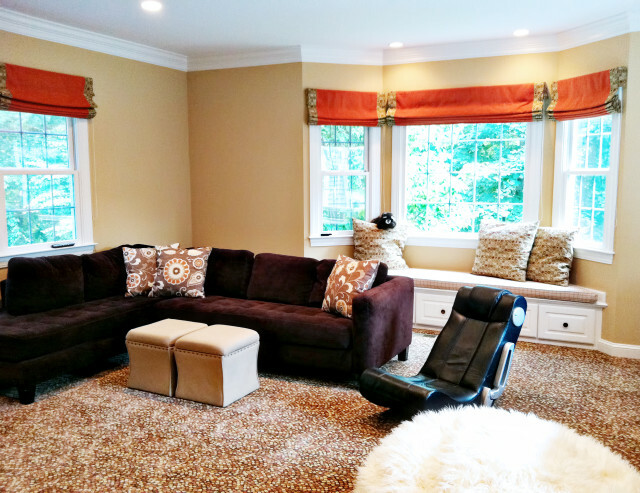 The custom Roman shades can be fully lowered to darken the room for movie watching. The mosaic tile pattern of the rug in orange, brown and cream adds playfulness to the space.